This is the complete order of battle for the four major battles of the Waterloo Campaign. L'Armée du Nord under the command of Emperor Napoleon I. Major Général (Chief of Staff): Marshal Soult, Duke of Dalmatia. Commander of artillery: General of Division Charles-Étienne-François Ruty. 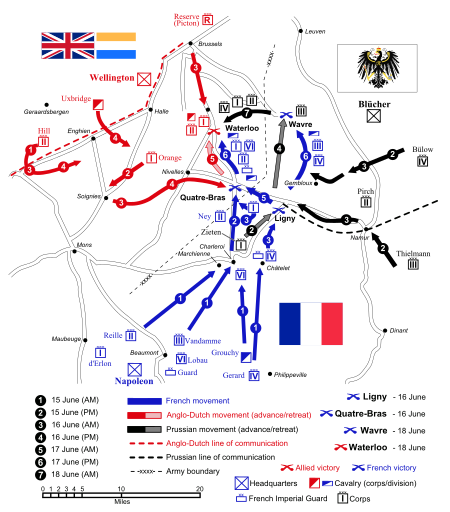 On 16 June 1815, at the battle of Quatre Bras, in command of the Left Wing: I Corps, II Corps (minus the Girard division, present at the battle of Ligny), III Cavalry Corps (minus the l'Héritier division, present at the battle of Ligny) and Imperial Guard light cavalry division. 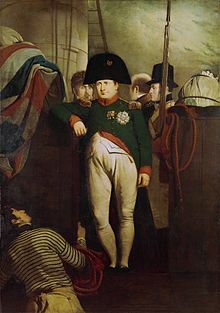 On 18 June 1815, at the battle of Waterloo, effective field commander of all the French forces present, minus those engaged at Plancenoit (VI Corps and elements of the Guard). On 16 June 1815, at the Battle of Ligny, in command of the French Cavalry Reserve: I Cavalry Corps, II Cavalry Corps, the l'Héritier division (detached from III Cavalry Corps) and IV Cavalry Corps. Between 17 and 19 June 1815, in command of the Right Wing: III Corps (minus the Domon's cavalry division, present at the battle of Waterloo), IV Corps, I Cavalry Corps (minus the division of Subervie present at the battle of Waterloo, but with the Teste infantry division attached to it), II Cavalry Corps. Commander: Marshal Édouard Adolphe Casimir Joseph Mortier (on sick leave, following a sudden attack of sciatica). Aide-major général (2nd in command): General of Division Comte Antoine Drouot. Combined British, Dutch and Hanoverian forces were under the supreme command of Field Marshal Arthur Wellesley, 1st Duke of Wellington. The Order of Battle included below reflects all units of the Anglo-allied Army including those that were not present for the battles themselves (units spread across the area or on garrison duty). The casualty numbers include all the casualties suffered by each regiment over the three days of fighting during the campaign from 16 June 1815 to dawn on 19 June 1815. Present at the Battle of Waterloo Wellington had 71,257 soldiers available, 3,866 officers and 65,919 other ranks. By the end of the day's fighting the army had suffered 16,084 casualties (3,024 killed, 10,222 wounded and 2,838 missing) a loss of 24.6%. I Corps fielded 24,844 (1,233 officers and 23,383 other ranks) on 18 June 1815 taking into account those not present in the Order of Battle and the casualties on the previous two days. With so much of the Dutch Belgian contingent not present at the battle, only 579 officers and 8,677 men (9,256 in total) were fielded by II Corps. With only three regiments not present at the battle the Cavalry Corps was the most complete at Waterloo fielding 16,133 (933 officers and 13,897 men) after taking into account the small losses at Quarte-Bras and during the retreat on 17 June 1815. The reserves, 34,394 men and 56 guns, came under the direct command of Wellington during the Battle of Waterloo. The British 7th Infantry Division under Major General Kenneth MacKenzie was not present at the battle as the brigade manned various garrisons around the area. The Hanoverian Reserve Division was also not present, again manning garrisons on behalf of the army. Actual combatants from the Reserve present at the battle numbered 18,964 with 56 guns. The Prussian Army was led by Field Marshal Gebhard Leberecht von Blücher, Prince of Wahlstadt and his chief of staff August von Gneisenau and remained independent from the allied Anglo-Dutch-German army during the course of the campaign. Major General Karl von Grolman, was Quartermaster General. ^ webpage says that 21st lost their c/o but the record does not show any officer casualties in the 21st at Waterloo, Digby Smith, p.298. ^ The sources are split over whether Antoine Maurin's division was the 6th or 7th cavalry division. For example William Siborne and John Franklin number it 6th while Philip Haythornthwaite numbers it 7th (Siborne 1895, p. 299; Franklin & Embleton 2015, p. 19;Haythornthwaite 2007, p. 142). ^ Antoine Maurin was wounded at the Battle of Ligny, command passed to Louis Vallin (Siborne 1895, p. 299). ^ The strength and losses of the French Guard foot regiments is provided from a study of the Service Historique de l'Armée de Terre archives, conducted by Russian historian Oleg Sokolov. Complements reflect the actual strength of the Foot Guards on the morning of 16 June 1815, before the beginning of the battle of Ligny. During this battle, around 350 men of the Foot Guard were lost, with most casualties in the Young Guard division (Sokolov 2003, p. 478). ^ a b At the start of the campaign Colonel Goedecke was in command of both the Nassau 2nd Regiment and the Netherlands 2nd Brigade, but on 15 June, the day hostilities commenced, he broke his leg. Major Settler (the senior major and commander of the 1st Battalion) took commanded of the 2nd Regiment, and Prince Bernhard of Saxe-Weimar took command of the 2nd Brigade. ^ a b Georg Dubislav Ludwig von Pirch: "Pirch I", the use of Roman numerals being used in Prussian service to distinguish officers of the same name, in this case from his brother, seven years his junior, Otto Karl Lorenz von Pirch "Pirch II". ^ Donnersmarck is also referred to in some sources as "Henckel" or "Henkel"
^ In March 1813 during the German Campaign Colonel Reuss created the Ausländer-Bataillon von Reuss ("Von Reuss's Foreign Battalion"). It was originally recruited from ex-POWs (repatriated after the Russian Campaign of the previous year), volunteers and Westphalians. In July 1814 it became the Elbe Regiment, and in March 1815 it was designated as the 26th Prussian line regiment. ^ replaced at Ligny by Reckow. ^ Colonel von Thümen was killed at Ligny, lieutenant-colonel von Schmiedeberg (commander of the 2nd regiment Silesian uhlans) succeeded to his command. ^ Uhlan: A contemporary title used for lancer regiments in the Russian, Prussian, and Austrian armies. ^ a b c Pigeard 2005, pp. 518–520. ^ Glover 2010, pp. 159–160, 233 footnote 321. ^ Glover 2010, pp. 159–160, 238 (footnote 371). ^ Moorsom 1860, p. 267. ^ a b Haythornthwaite 1995, p. 390. ^ Siborne 1895, p. 788. ^ a b c Schneider 2012a numbers them: 1st Heavy 2nd Light, 3rd Light; but NHAE staff 2010 numbers them Heavy, 1st Light, 2nd Light. ^ Chisholm, Hugh, ed. (1911). "Grolmann, Karl Wilhelm Georg von" . Encyclopædia Britannica. 12 (11th ed.). Cambridge University Press. pp. 661–662. ^ Spelling from Becke, A.F. (1911). "Waterloo Campaign" . In Chisholm, Hugh (ed.). Encyclopædia Britannica. 28 (11th ed.). Cambridge University Press. p. 373. ^ Siborne 1895, p. 77. ^ Charras 1857, p. 352, footnote. ^ Siborne 1895, p. 639. Houssaye, Henry (1899), 1815 (27th ed. ), Paris: Perrin & C.: Volume 1 and Volume 2. Siborne, William (1844), History of the War in France and Belgium, in 1815 (2nd ed. ), London: T. & W. Boone: Volume 1 and Volume 2 (4th and 5th editions published as The Waterloo campaign, 1815). This edition shows "Appendix" in uncut version; (1848): 3rd edition published in one book. Siborne, William (1895), The Waterloo Campaign, 1815 (4th ed. ), Westminster: A. Constable (1st, 2nd and 3rd editions published as History of the war in France and Belgium in 1815). Dalton, Charles, The Waterloo roll call. With biographical notes and anecdotes (1904), London: Eyre and Spottiswoode — Short biographies on all ranks present down to Lieutenant-General, with a few more junior ranks, however the list of regiments includes footnotes on junior officers who went on to have notable carers. Gardner, Dorsey (1882), Quatre-Bras, Ligny and Waterloo; a narrative of the campaign in Belgium, 1815, Boston: Houghton-Mifflin, & co., pp. 20–26 — Order of battle for the three armies with names and numbers. Maxwell, Will. 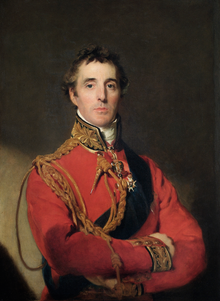 Ham (1845), Life of Field Marshal His Grace the Duke of Wellington: (In Three Volumes), 3 (4 ed. ), H. G. Bohn, pp. 560–561 — List of staff officers. This page was last edited on 20 April 2019, at 22:47 (UTC).